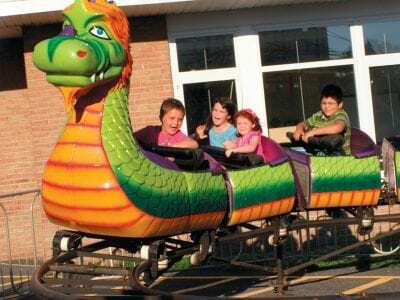 Above, the dragon is a favorite for kids of all ages. Right, Andrew Wyda, 2, and his two-year-old buddy Jackson Murphy, both from Carmel, enjoy a leisurely ride. Photos by Eric Gross Ideal weather conditions brought out a huge crowd Saturday for the … Please login below or purchase a subscription to the Putnam County Courier to access this content. Pawling Village Justice Robert Apple is facing state prison incarceration following his arrest for felony DWI by Carmel Police. A car driven by the 56-year-old judge was stopped on Route 6 in Carmel after police received several calls reporting a ve… Please login below or purchase a subscription to the Putnam County Courier to access this content. A member of the military serving in Afghanistan, born and raised in Carmel, has been killed by enemy small arms fire in Operation Enduring Freedom. Staff Sgt. Carl Erik Hammar, 24, who died last Saturday, was assigned to an infantry regiment in Alas… Please login below or purchase a subscription to the Putnam County Courier to access this content. For years, a countywide re-evaluation of all property throughout Putnam has been described as an issue “too hot to handle.” Putnam has not undertaken a countywide re-evaluation for more than a decade. To compound matters, the towns of Ca… Please login below or purchase a subscription to the Putnam County Courier to access this content. 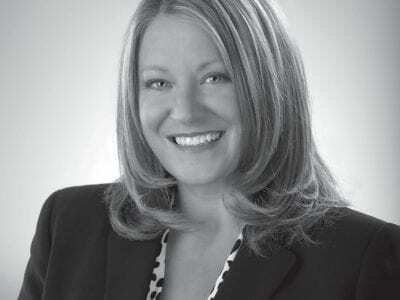 Tourism Director Libby Pataki speaks Tuesday in western Putnam. 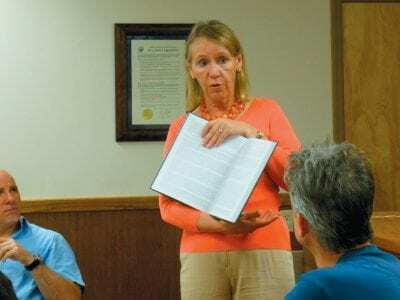 Putnam’s tourism director Libby Pataki continued Tuesday to try to bridge the divide between eastern and western Putnam County and bring much needed tourism dollars to the area. P… Please login below or purchase a subscription to the Putnam County Courier to access this content. Despite torrential downpours in recent days, the New York State Department of Environmental Conservation extended its burning ban throughout the Hudson Valley Monday due to high fire risk. Putnam Acting Commissioner of Emergency Services Adam Stiebe… Please login below or purchase a subscription to the Putnam County Courier to access this content. ‘Reports of my death are greatly exaggerated.’ – Mark Twain Even in the dog-eat-dog media world, even in the blood-sport of Putnam County, some stories still shock one. There is nothing like an artful fabrication, and in the annal… Please login below or purchase a subscription to the Putnam County Courier to access this content. On Thursday, July 12, candidates for several Putnam area offices came together for a meet and greet at the Putnam National Golf Club before members of the Putnam County Chambers of Commerce and its seven affiliated local organizations. The can… Please login below or purchase a subscription to the Putnam County Courier to access this content. 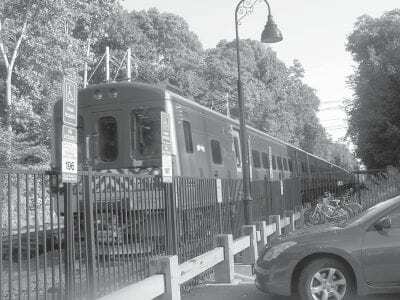 A Metro-North commuter train leaves the Brewster Village station last Saturday morning. Weekend and off-peak passengers riding Metro-North trains on both sides of the county received good news last week—the railroad will be adding more than 200… Please login below or purchase a subscription to the Putnam County Courier to access this content.